You will never be able to have a carpet that is free of stains unless it is in a locked room, which is highly unlikely. If you have children or pets it can be even harder to keep your carpets free of spills and soil but if you follow these five simple carpet cleaning tips, your carpet can look good and smell fresh, year round. No matter how you try to avoid it, your carpet will eventually receive an accidental spill. 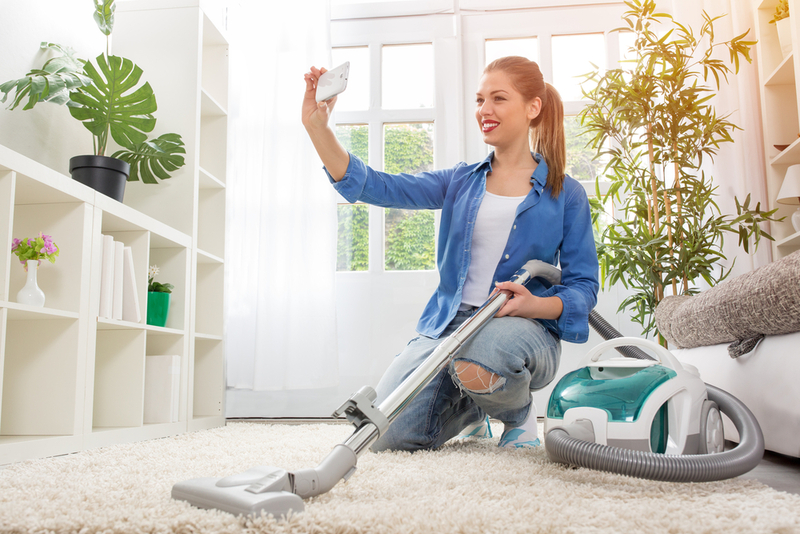 The shock of seeing your beautiful white carpet covered in grape juice or red wine can leave you frozen in time but if you quickly try to clean up the mess when it happens, you can avoid trying to maneuver your furniture to cover the hard to remove stain. A great carpet stain cleaning tip is to pick up easy to remove food items or utensils and then get a bowl or buck of cold, clean water. Using a sheet of paper towel or a clean cloth, pat the area repeatedly, to soak up the stain and to keep it from spreading. Grabbing a brush and scrubbing will only cause damage to your rugs and carpets. You can also apply a carpet cleaning solution if the plain water does not help to remove the stain. 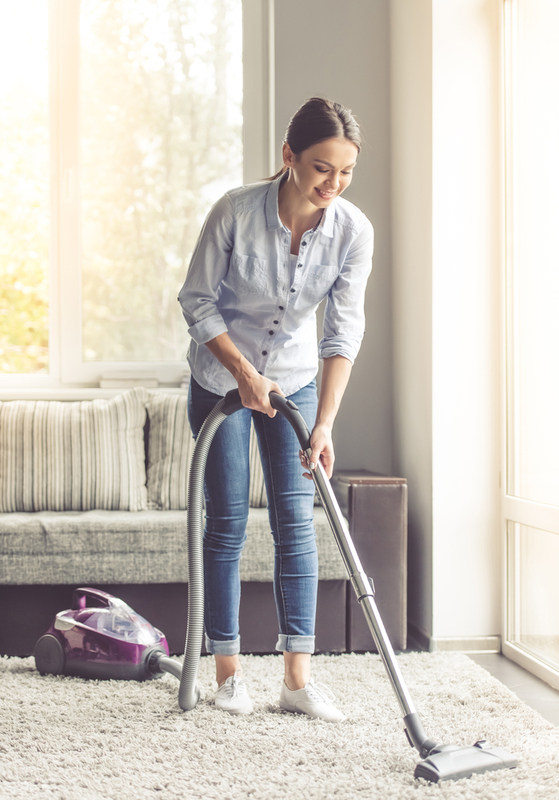 Applying a vacuum cleaner to your carpet on a regular schedule will go a long way towards a cleaner and longer living carpet. It can be tempting to skip a cleaning if the carpets do not look dirty but we can’t always see how dirty a carpet is just by looking at it. This is especially true for darker colored carpets. 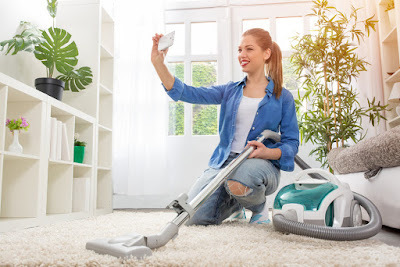 For more information, visit Onlycanistervacuum.com for the latest in vacuum cleaner and other cleaning tools product reviews. Another great carpet stain cleaning tip is to avoid the use of harsh chemicals unless they absolutely necessary. Start with a soft mixture of water and dish soap but never apply detergent that is used to launder clothing. Stains caused by pets, blood or food are stains that are organic. They can usually be cleaned by any cleaner that is oxygen based. Special cleaners that treat spots should only be used as a last resort. They require the use of gloves and a good ventilated area and they are filled with chemicals that can be dangerous to humans and pets alike. When you begin using chemicals or even the soft solution of water and soap, always test a small area that cannot easily be seen, such as the underside of your carpet. This small test area will allow you to easily see any discoloration and damage that may occur if you were to apply the carpet cleaner to a larger area. Daub a clean white cloth on the test area. This will allow you to easily check to see if the color will transfer or bleed through. When you are removing the spills from your carpet, it can be easy to assume that more water or cleaning solution will mean a cleaner carpet, but you should never soak your carpets. Too much water can cause mold to grow and once breathed in, mold can cause a lot of damage. Mildew can also show up on areas that were applied heavily with liquid. As you soak up liquids, always remove a cloth that is too wet with a dryer piece of cloth or paper towel. Keep your carpet clean by cleaning stains, spills and soils immediately after an accident occurs. If you can get the area treated as soon as possible you can quickly have a clean carpet that looks new and smells great. Don’t allow stains to sit for a long time because they will be much harder to remove once they dry and become hard.